The number of natural gas cars increased again in Finland. There were several factors behind natural gas being more commonly used as a fuel, such as willingness to reduce CO2 emissions from transport and the highly popular campaign offering biogas at a fixed price. The scrapping incentive and support for CNG conversions introduced in 2018 have also contributed towards this increase. According to the latest estimates, there are around 6,700 NGVs on Finland’s roads. 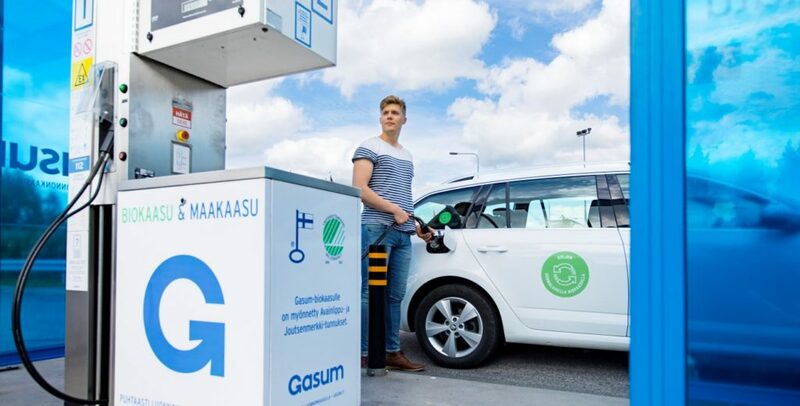 According to the Finnish Transport and Communications Agency (Traficom), a total of 2,439 natural gas cars were taken into use in the country, with 1,161 of these being first registrations. This was a huge increase as car registrations almost doubled compared with 2017. The most popular first-registered vehicles were Skoda (555), Seat (298) and Audi (150). The most popular NGV car models were Skoda Octavia (536), Seat Leon (150) and Seat Ibiza (104). “The demand for natural gas cars is growing in Finland, and this is no wonder as it has many advantages as a vehicle fuel. It’s an inexpensive fuel. Our fixed price campaign offering biogas at a fixed monthly price has been highly popular. Natural gas cars are also competitive in terms of their purchase price compared with diesel and gasoline cars, and different NGV models are becoming increasingly available,” said Heidi Kuoppala, Sales Manager, Traffic, from Gasum. Natural gas is seen as a clean fuel alternative also for heavy-duty road transport. In 2018, a record number of first registrations of new heavy-duty vehicles were made in Finland. The market development was affected by factors including new vehicle model launches by Iveco, Scania and Volvo. Gasum is developing the Nordic heavy-duty truck station network by investing in the construction of around 50 facilities in Finland, Sweden and Norway by the beginning of the 2020s. “The demand for both light and heavy-duty vehicles is growing in all segments, and we’re highly committed to the development of the NGV market. This is demonstrated by the fact that the European Union granted Gasum support at €2.9 million for the construction of new gas filling stations. The Transport Climate Policy working group under the Finnish Ministry of Transport and Communications also highlighted biogas as a significant element of the solution for greenhouse gas emission cuts,” added Kuoppala.